On October 2, 2005 it was finally time to leave the homeport of Gothenburg and sail its maiden voyage to China. Wherever in the world The East Indiaman Götheborg would lay it would attract attention. The success became bigger than anyone had ever dared to hope for. 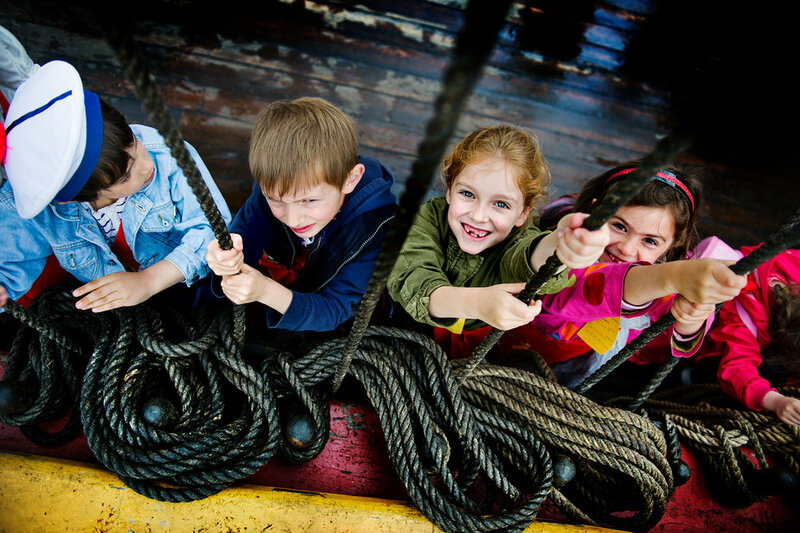 The Ship has completed a total of nine expeditions during a period of ten years; thousands of people have sailed the East Indiaman on its voyages, and more than a million visitors have been aboard to experience the ship. On October 2, 2005 it was finally time to leave the homeport of Gothenburg and sail its virgin voyage to China. Wherever in the world The East Indiaman Götheborg would lay it would attract attention. The success became bigger than anyone had ever dared to hope for. Sunday October 2 was a lovely warm day, ideal for a historic departure. At 1:47 pm, the ship that could not be built began her long voyage that could not be completed. More than 33 000 nautical miles lay ahead. Construction hardships and tremendous obstacles lay astern. The East Indiaman Götheborg majestically headed along the river, escorted by a crowd of accompanying boats and watched by tens of thousands of people along the shores and quaysides. The big adventure could begin. This is a brief summary of the East Indiaman Götheborg’s voyage to China 2005 - 2007. The ship followed the same route the East Indiamen took during the glory days of the 18th century. The same winds that blew then blow even today. After 48 days at sea the East Indiaman Götheborg arrived at her first stopover, the historic port of Cadiz. She was the starting ship for the Volvo Ocean Race. She also hosted many official receptions and sponsor events at her stopovers. In Cadiz, like everywhere else, the ship attracted great interest and extensive media attention, just as planned. After nine days the East Indiaman Götheborg took a southwest course to Recife in Brazil, a journey that took 32 days. After a week filled with official commitments and stocking up with provisions, the ship set sail for Cape Town. 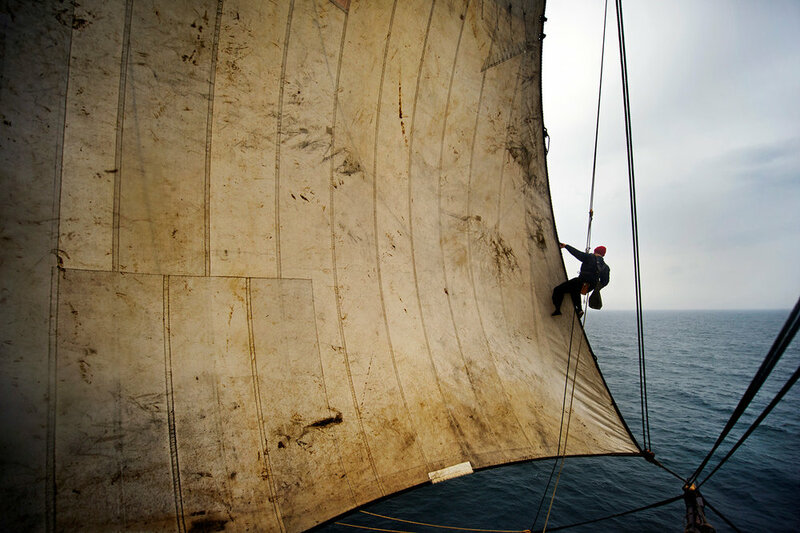 With the help of the west winds the voyage took 41 days across the Atlantic. 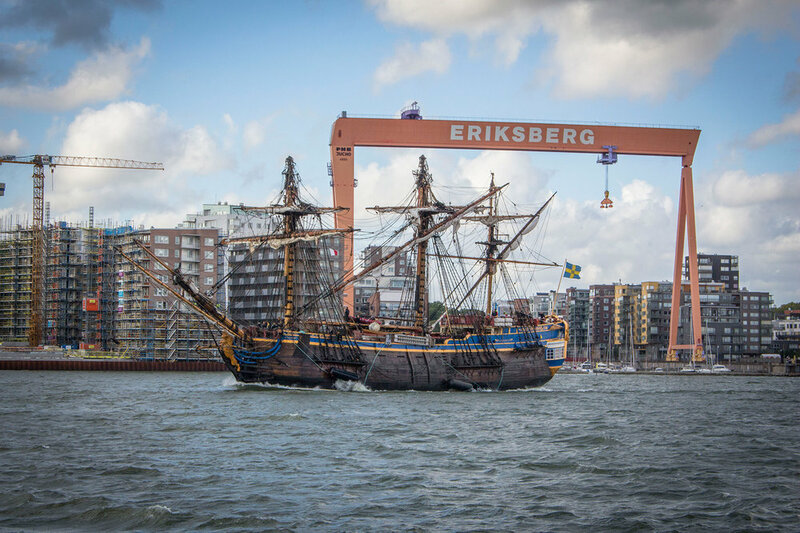 On February 19, Götheborg arrived in one of the world’s most beautiful harbours for ship maintenance, sponsor activities, and official commitments. There was also a change of ship crew here. Between March 9 and 25, the East Indiaman Götheborg made a very high-profile stopover in Port Elizabeth and then set sail for Fremantle. This was the longest leg of the expedition that, with the help of strong west winds, took 49 days. After Fremantle the voyage continued northward towards the Sunda Strait between Java and Sumatra. After passing both the equator and Christmas Island, the ship moored at Jakarta on June 18. Ten days later she sailed the South China Sea towards Guangzhou (Canton). In mid-July the ship finally reached the mouth of the Pearl River, the Tiger’s Mouth. After folding the masts for power cables and bridges, the ship reached its historic destination of Canton with great pomp and ceremony. The dream had come true, a complete success. The subsequent reception ceremonies on July 21 – attended by senior Chinese dignitaries, the King and Queen of Sweden, main sponsors and partners – were grandiose to say the least. After a few weeks of official receptions, press viewings, exhibitions, and sponsor activities, the East Indiaman Götheborg continued northward through the Formosa Strait to Shanghai. The long, adventurous home voyage to Gothenburg began on October 28, 2006. Before the voyage home, maintenance was carried out on the ship at a shipyard outside of Shanghai. On October 28 she was ready and set sail. One month later she reached Hong Kong for a high-profile two-week stopover. On December 30 she reached Singapore, one of the world’s largest ports. After two weeks, a crew change and New Year’s celebrations it was time to continue the voyage home, which was now taking a slightly different route than the original. On January 31, 2007 the East Indiaman Götheborg reached Chennai where the largest trade event Sweden has ever held in India. 300 top Indian politicians along with crowds of people showed an interest in the ship and the little Scandinavian country. 25 000 delighted Indians were lucky enough to get a closer look at the ship on board. On February 10, Captain Gunnar Silfverberg Utgaard had his crew set sail for the adventurous journey across the Indian Ocean, to the lowest profile stopover of the expedition in the desert town of Djibouti. It was time to stock up on provisions and change crew. The departure was logged for March 17. The voyage went through the Red Sea and in convoy through the Suez Canal. The ship arrived in Alexandria on the morning of Saturday March 31 for a visit on behalf of the Västra Götaland County. Three days later the East Indiaman Götheborg set sail for Europe and Nice on the French Riviera. The ship arrived in Nice on April 17 for an eight-day stopover before heading for the tenth and penultimate stop, London. The East Indiaman Götheborg reached the British capital on June 2. After two intensive weeks of official visits, sponsor activities, exhibitions, and viewings, the course was finally set for the North Sea and the homeport of Gothenburg. The final leg took 7 days and on Saturday June 9, the now world-famous vessel was sighted off Vinga. It had been over 250 years since an East Indiaman had saluted her homecoming. Needless to say the reception by the city and the people of Gothenburg was worthy of a global star. After 615 days at sea, 14 towns on 5 continents and 300 000 visitors aboard, the mission was complete. The project fulfilled an ambassadorial role for Swedish culture and trade, as well as opening up opportunities and doors for sponsors and partners. The ship that could not be built and sailed was back with a star status. Shortly after the homecoming from China, The East Indiaman Götheborg went on a successful tour along the Swedish west coast. Many wanted to see the ship in real life and the journey became a triumph. After her homecoming from China, there was great interest in the East Indiaman Götheborg in Sweden. On July 1 to August 3, the ship went on a successful tour along the coast of Bohuslän and Halland. The West Coast Tour began in Marstrand, where the Swedish Ship Götheborg was a popular platform for partners during the Match Cup Sweden sailing race. Thousands of people flocked to Uddevalla for the welcome ceremony, and for several days there were long queues to board the ship. The arrival in Grebbestad was during the on-going Grebbestad Carnival. The planned three days turned into four thanks to strong winds. The most southerly stopover of the tour was Halmstad Marinfestival, where there were maritime activities and performances by artists. 5 400 visitors board visits in one day was a new record. 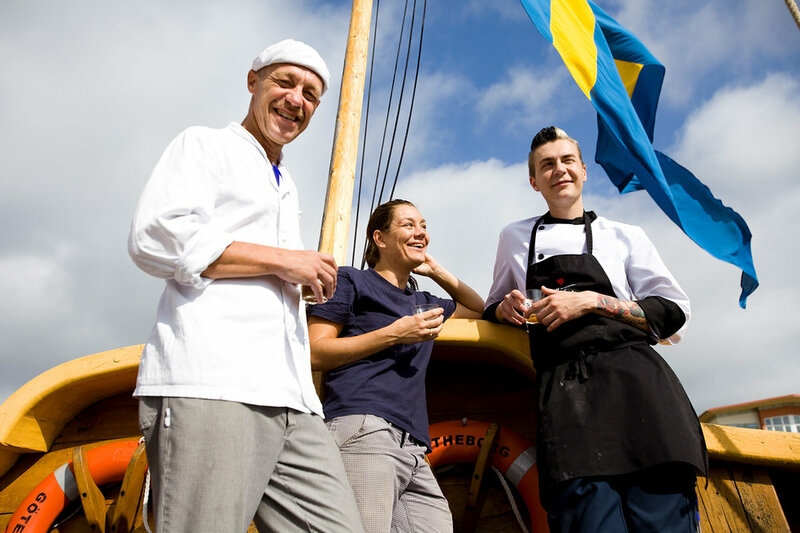 In Skärhamn located on the west Tjörn Island, Frenchman Daniel Coppin became the lucky 50 000th visitor, and he got to sail with his family to Lysekil. There, the East Indiaman Götheborg hosted the opening ceremony of the Lysekil Women’s Match sailing race. Newspapers ran headlines along the lines of “Götheborg – a loving adventure that goes on”, “Thousands waited on the shore and in boats” and “Götheborg’s triumphal voyage”. With a total of 64 000 visitors aboard during the six stops, there was no doubt who the queen of the West Coast was that summer. The summer after the homecoming from China, the East Indiaman went on a Baltic Sea Tour, with several stopovers along the Swedish South and East Coast. A total of 164 000 persons boarded the ship during this tour. On May 16, 2008 the East Indiaman Götheborg set sail for the Baltic Sea. The Baltic Sea Tour was comprised of four official stopovers – Stockholm, Helsinki, Tallinn and Visby – as well as a number of public stops along the Baltic coast. During the visits, public events and festivities were combined with trade-focused export activities. The Swedish Ship Götheborg’s visit to Stockholm was a joint arrangement with the Vasa Museum and the Brig Tre Kronor under the theme of ‘Three Centuries of Flagships’. 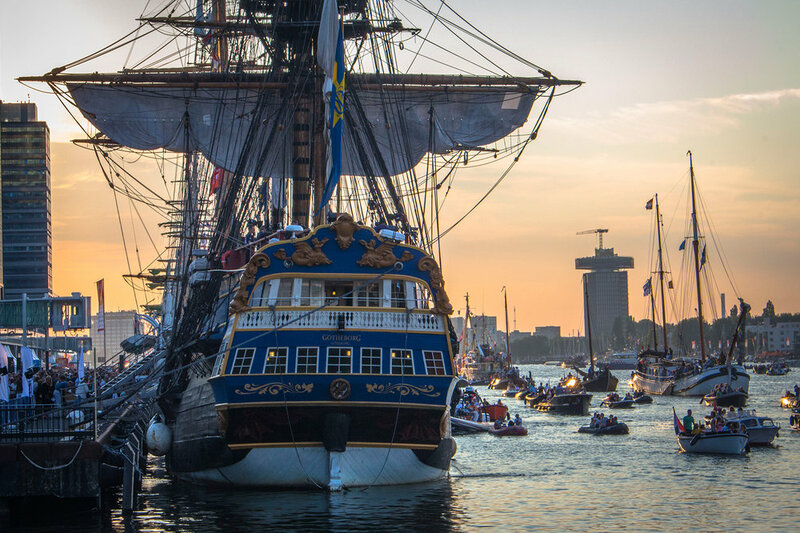 On the evening of June 8, the East Indiaman Götheborg arrived at the South Harbour in Helsinki, and was a starting point for a week packed with historic events, seminars and festivities linked to Helsinki Week. On June 17-22 the East Indiaman Götheborg visited the Estonian capital of Tallinn. The visit coincided with Tallinn’s Ocean Days, which were packed with maritime activities, music, and children’s activities. Just over six days later, on June 28, the East Indiaman Götheborg was the starting ship at Nynäshamn harbour for the Jubilee regatta, when classic yachts sail from Nynäshamn to Visby and back again. During the summer of 2009, the East Indiaman Götheborg visited a number of harbours in Denmark, Norway, and Sweden. Several of the stopovers were characterized with historical features. Arendal in Norway and the historic Kjaempestaden Public Festival marked the first Norwegian stopover. The East Indiaman Götheborg has links to Arendal and the Sørland coast through the East Indiaman “Drottningen”, which ran aground in 1803 at Hombursund on the Norwegian Sørland coast. 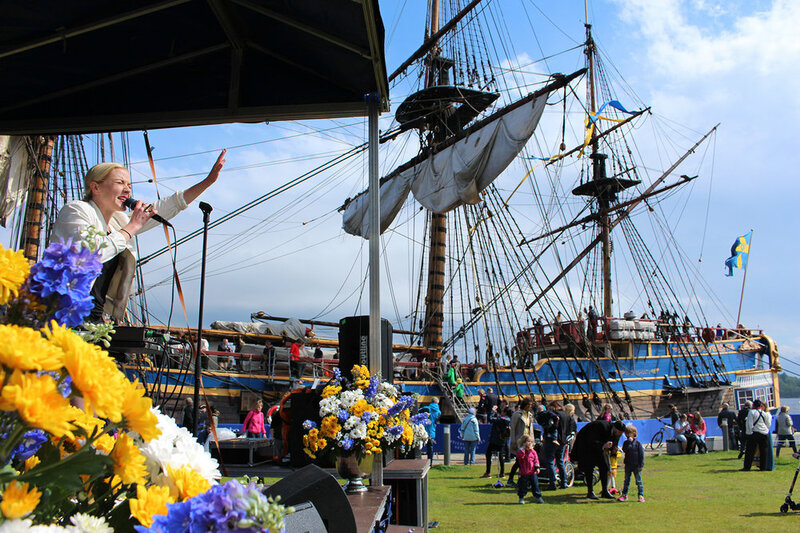 The ship arrived in Fredrikshamn for the 18th century ‘Tordenskiöld Days’ festival on June 26. Götheborg was the main attraction in the historical re-enactment of the Swedes’ attack on Fredrikshamn and Tordenskiöld’s ship, Vite Örn. During the summer tour, the East Indiaman Götheborg visited two towns in the province of Vestfold on the western side of the Oslo Fjord: the maritime town Sandefjord and Stavern with its re-enactment of the battle of Dynekil in 1716. Götheborg took part along with other sailing ships, and Tordenskiöld’s soldiers from Stavern and Fladstrand in Denmark. On July 10 the East Indiaman Götheborg arrived for the Ålesund Boat Festival. Two days later the ship set course south again for Stavanger, to later stop in Lysekil, where the ship was the starter boat for the Lysekil Women’s Match and then stayed in port for three days. The Scandinavian Tour finished off in Risör at the large annual Wooden Boat Festival. The summer of 2010 offered a number of unforgettable moments. The greatest of these, however, was when all the Swedish governors and their guests celebrated the wedding of Crown Princess Victoria and Prince Daniel’s wedding aboard the ship together with the Royal family. Preparations for royal dinner onboard the Swedish Ship Götheborg. This was during the festivities around the royal wedding in Stockholm 2010. The Swedish Ship Götheborg was in Stockholm to take part in the celebrations for the Royal wedding between Sweden’s Crown Princess Victoria and Mr. Daniel Westling. The ship was also part of the Love Stockholm 2010 event. 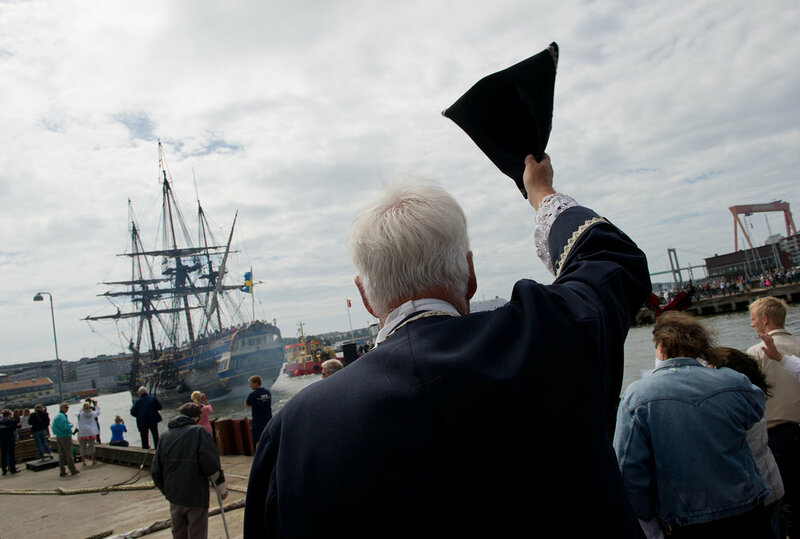 ‘Tordenskiöld Days’ in Fredrikshamn is a unique national festival held each year in memory of Scandinavia’s great maritime hero Peter Jansen Wessel Tordensköld. Fredrikshamn is where the Great Northern War ended between Sweden and Denmark in 1717, and since then war has never been a threat between the two sister nations. The next mission was to take part in Sail Amsterdam 2010. Almost 200 tall ships took part in the event, attended by some two million visitors. Together with the Dutch clipper Stad Amsterdam, the East Indiaman Götheborg took the lead in a long line of 6000 boats headed for central Amsterdam. The Summer Tour finished with the Sail Bremerhaven Boat Festival. It is one of the largest maritime festivals in Europe and takes place every five years. Over a million people stood along the waterside to watch the ships sail past. In the summer of 2012 the Swedish Ship Götheborg visited three ports in the Netherlands, France and Germany. During the tour the ship was the main attraction at several large maritime festivals and about 40 000 people visited the ship during the stopovers. On June 30, the East Indiaman Götheborg set sail towards Europe and the three stopovers of the tour – Den Helder, Brest and Bremerhaven. 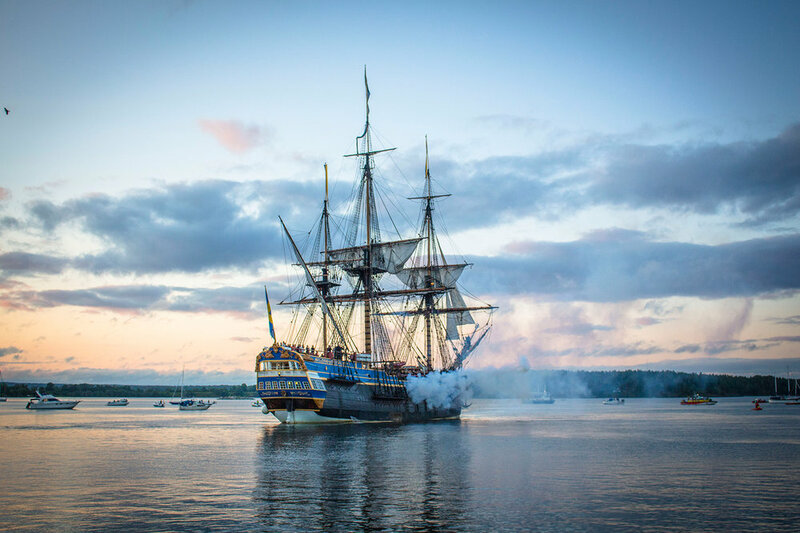 The East Indiaman Götheborg arrived at Brest on Friday July 13, and with an eight-shot-salute she inaugurated the 20th edition of one of the largest maritime festivals in the world, Les Tonnerres de Brest. The festival is organized every fourth year and attracts almost one million visitors. The ship got a great deal of attention all over Europe with nationwide television broadcasting from the ship in both France and Germany. On August 3, the East Indiaman Götheborg arrived at the home port of Gothenburg after a very successful European Tour. For the second summer in a row the East Indiaman Götheborg headed out on a European Tour. During the four-month long tour the ship visited nine countries and fifteen cities around Europe. Among other events the ship took part in the Tall Ships Race 2013 and the French maritime festival Lármada De Rouen, one of the largest maritime festivals in the world that are visited by over ten million people. 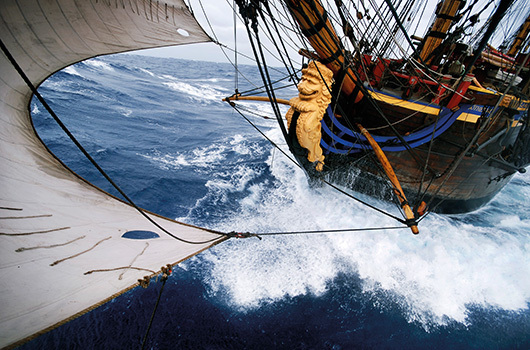 On Monday May 6, the East Indiaman Götheborg casted off and head out on the four-month long adventure, European Tour 2013. During the summer the ship participated in everything from small festivals to royal celebrations. During the tour the East Indiaman Götheborg attended several events including the National Day celebrations in Oslo and the 600-year anniversary celebration of the city of Landskrona. On the July 7, Tall Ships Race started, the world’s largest international race for sail training ships. Over one hundred ships from all over the world gathered in Århus in Denmark for a joint departure to Falsterbo, where the start of the first race leg took place. Together with the Russian ship Shtandart the East Indiaman Götheborg conducted a unique naval battle that also was the inauguration of the Tall Ships Race festival in Århus. The entire race lasted a month and the finish line was in Szczecin in Poland. The East Indiaman Götheborg arrived at her homeport of Gothenburg on September 7, after a very successful tour in Europe. Over 100 000 people visited the ship during the summer and the ship was the main attraction at several major maritime festivals throughout the four-month long tour. 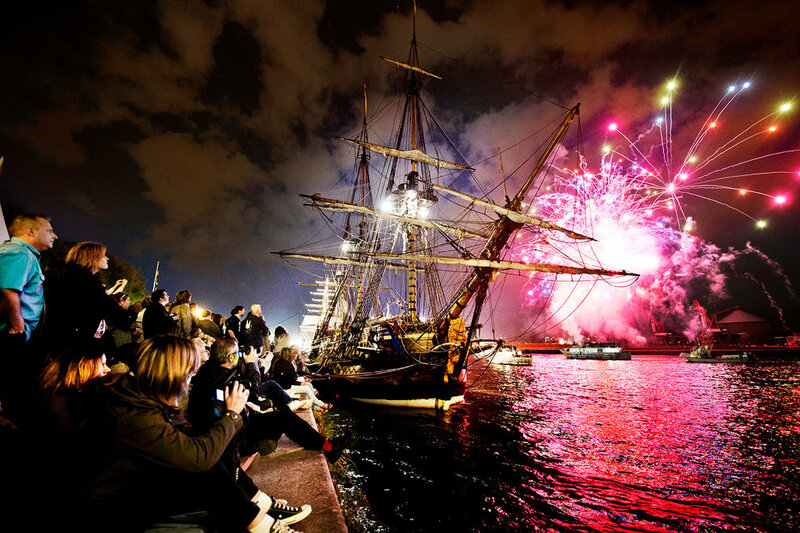 On the June 4, the Swedish Ship Götheborg casted off from the homeport of Gothenburg and headed for the first stopover of European Tour 2015, the Swedish National Day celebrations in Oslo. In August, the ship was the main attraction at the major maritime festivals SAIL Amsterdam and SAIL Bremerhaven. In Amsterdam, the East Indiaman Götheborg had the honour to inaugurate the whole event with a traditional salute. During the festival, the ship had over 7000 visitors on board per day, which broke the old visitors record from China. 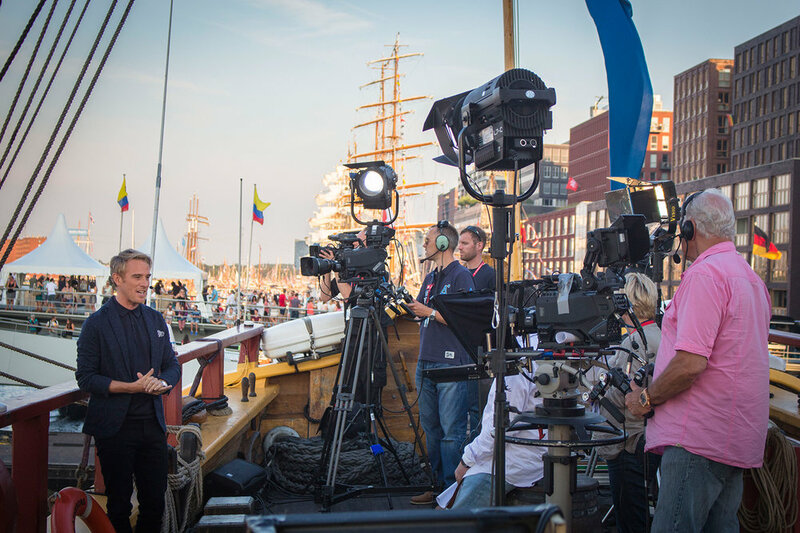 During the ships’ stay in Amsterdam the Dutch national TV channel NPO 1 carried out live broadcasts on board during the evenings. In June 2015 the East Indiaman Götheborg participated in the Volvo Ocean Race event in Gothenburg. The ship took part in the opening ceremony; it was belayed in the event area during the whole week, and was the starting ship with cannon salute for the In Port Race, which was the final race of Volvo Ocean Race 2015. Götheborg became the ambassador for the Non-Violence Project Foundation during the tour, an international organisation with the goal to inspire, motivate, and engage young people to understand how to resolve conflicts without violence. A ceremony was held in conjunction with the ship’s arrival to Varberg. There, the Non-Violence Sculpture of Carl Fredrik Reuterswärd was presented to the ship by his wife, Tonie Lewenhaupt. Saturday, September 12, the East Indiaman Götheborg arrived at her homeport of Gothenburg after a very successful tour. The interest in the ship was huge at the ports she visited and over 200 000 people visited the ship during the tour. 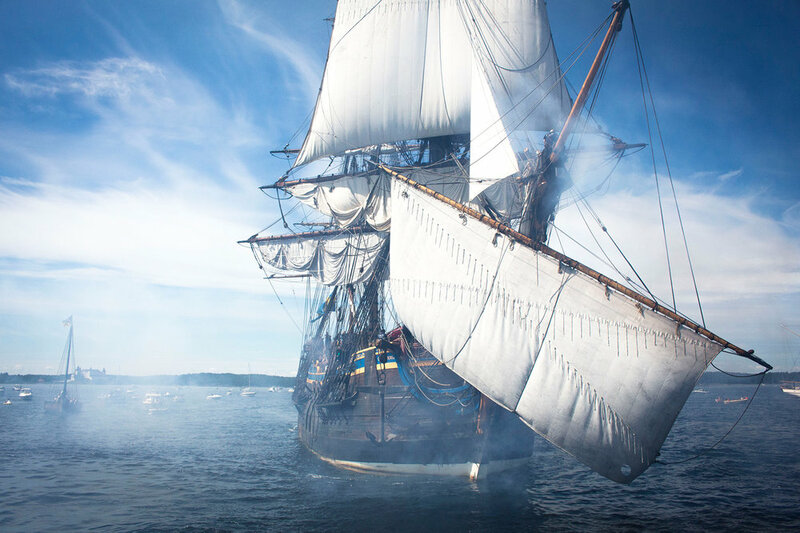 In the summer of 2015 the East Indiaman Götheborg became the largest sailing ship that ever sailed in Lake Vänern during the three-week tour Vänern Tour. The tour was a huge success with an amazing reception in the five cities that the ship visited. In total, 46 000 people got on board to visit the ship and the quayside was transformed into a festival. The East Indiaman Götheborg started the unique tour Vänern Tour on June 30, with the passage up the Göta River. Crowds gathered among the river and in the locks to get a look at the ships passage. To get through the locks and under bridges and power lines the ship needed to withstand a maximum height and a maximum width. The topmasts were lowered and the yards were topped before the passage through the Göta River could begin. To rig up and down the ship is usually something that would take two weeks, but during the Vänern Tour we broke the record, and the work was carried out in one and a half days. The ship visited five cities in Lake Vänern during the tour – Vänersborg, Kristinehamn, Lidköping, Karlstad and Åmal. In Karlstad, we set the record for visitors on board during the Vänern Tour, where 5019 visitors boarded on one day. Vänern Tour was a success. The quays turned into a festival with exhibitions, concerts and activities for both adults and children. Kristinehamn’s Director of Tourism, Mats Öhman pronounced at the ship’s arrival that the event was the biggest thing that had happened in Kristinehamn in modern times. 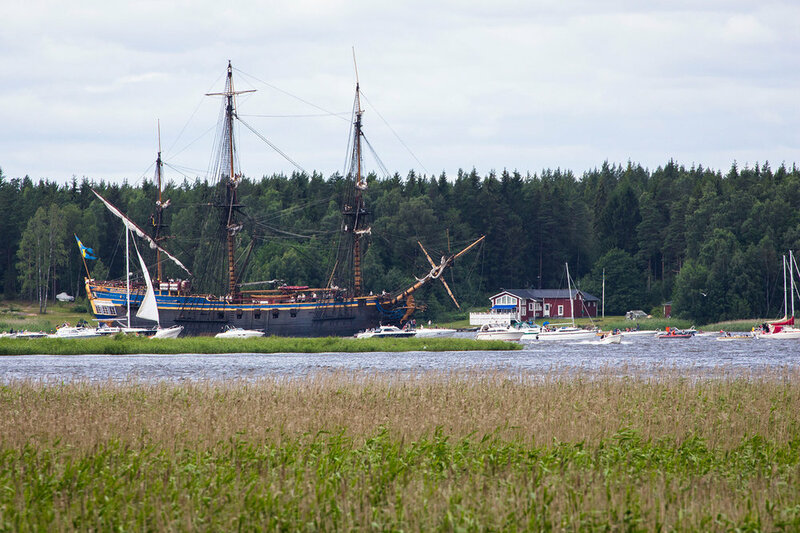 After the departure from Åmal, the last stopover on the Vänern Tour, the East Indiaman Götheborg anchored in Vassbotten outside of Vänersborg to be rigged down before passage down the Göta River. During the day on July 23, the passage took place and the ship arrived at Gothenburg in the evening the same day. There she was anchored and rigged up again before continuing with the European Tour 2015.